Too busy to read every single post on Next? 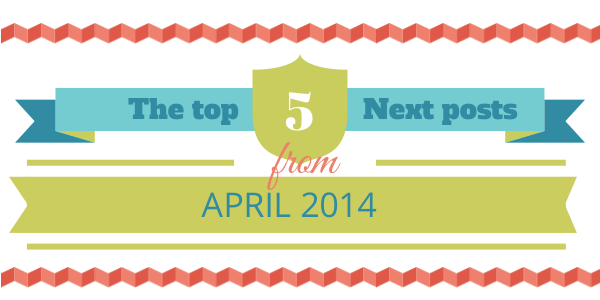 Below is a roundup of the top five InmanNext posts for the month of April 2014. As the marketing manager for the real estate CRM tool IXACT Contact, Collis knows that the key to client loyalty is to interact on a personal level with clients and prospects year-round. Looking for natural ways to connect with your sphere? Take Collis’ advice on using newsletters, annual checkups, birthdays and anniversaries as easy touch points. As a leading agent for Re/Max Executive Realty in Massachusetts, Pinterest pro Gassett tells his fellow agents to lose the listing photos and get serious about pinning only high-quality photos with enhanced Web links. This post is for those who’ve mastered the basics and are ready to fine-tune their Pinterest boards. Your bio should be more than a chronological rehashing of your accomplishments — it should be where your brand begins. In this article, originally published on Placester, you’ll learn why a great photo and a soft sales approach are both keys to a great professional bio. In this post, Listanski, Coldwell Banker Real Estate LLC’s social media manager, shares a recent CB whitepaper ranking top mobile apps for real estate pros. If you’re slammed with the spring market and wishing for foolproof ways to increase your efficiency, don’t miss this post.